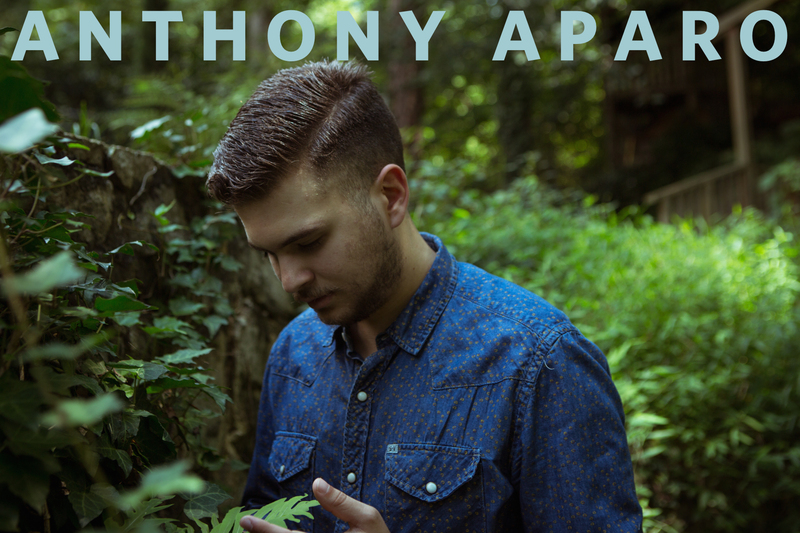 Atlanta based singer/songwriter Anthony Aparo is far from new to the southern music scene. You may recognize him as front man to Atlanta’s Retro-Electronic band CultureCulture, or might remember him from the Athens Folk-Pop band Mr.Mustache. Over the past year, it’s possible you’ve seen him proudly singing opposite of his now wife– Atlanta Singer/Songwriter, Casey Harper. But chances are, if you follow the Atlanta music scene, his is a familiar face. From a young age Anthony was encouraged to pursue the arts by his parents. His father, Angie Aparo (songwriter), introduced him to music at a very early age—sharing with him records from Nick Drake’s “Pink Moon” all the way to Outkast’s “ATLiens.” The depth of this diverse listening pallet along with his father’s mentorship led to an intense study of lyric, melody, and the craft of songwriting. At age 11, Anthony started playing cello in the school orchestra, learning classical composition and music theory that continued throughout the rest of his education. It was during those adolescent years when Aparo picked up guitar, banjo, piano, and drums, as well as a wide array of other auxiliary instruments. This led to the involvement with various bands throughout high school, eventually resulting in writing and engineering a full length album in his mother’s attic with Mr.Mustache in 2012. After Mr. Mustache broke up, Anthony moved to southwest Atlanta and began writing songs that would represent a large chunk of his current catalog. In the spring of 2013, he joined CultureCulture and began shifting his skill-set from acoustic instrumentation to pop and electronic arrangement. CultureCulture released a self titled EP in the beginning of 2014 and began gaining traction in the local Atlanta scene. Anthony appears on WXRY Unsigned LIVE from The British Bulldog Pub on Sunday, January 10, 2016.